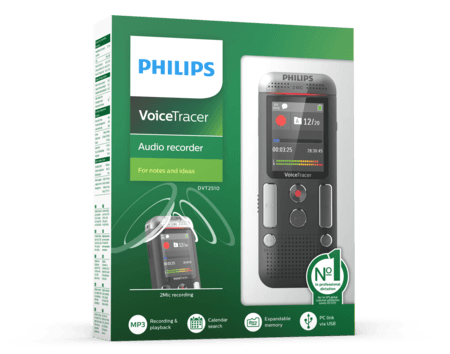 The VoiceTracer 2510 is perfect for capturing notes, ideas and thoughts on the go. Thanks to its two microphones, your recordings are captured in outstanding stereo quality. The large color display makes recording quick and easy.